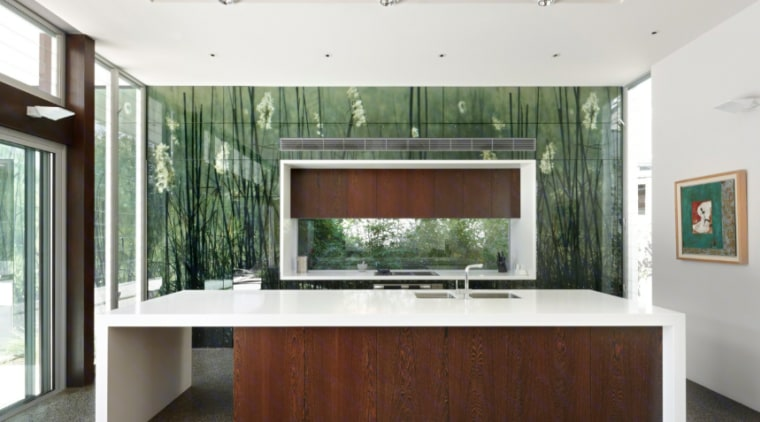 If you’re designing a new kitchen, chances are you won’t want to get too crazy with the design. After all, rocking the boat too much could leave you with a space you regret down the track. For those that need to express themselves, the splashback is a great place to get creative and is relatively easy to change later. Grey cabinets: Oranges and reds. 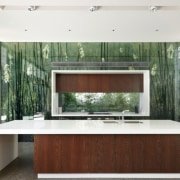 Many designers are now starting to focus on texture when it comes to splashbacks, and there’s a good reason for this. 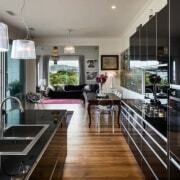 You can create a visually interesting centrepiece for your kitchen without needing to go overboard on colour. 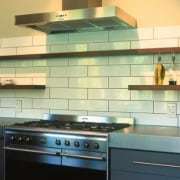 You could use metal and give your splashback a distressed look or opt for a stone or marble look material. If you speak to a designer, chances are they’ll have a few interesting ideas of their own! 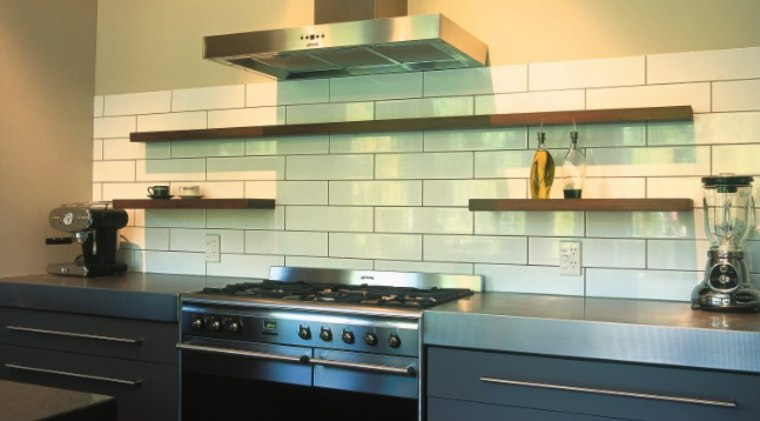 These aren’t for everyone, but they could be just what you’re looking for if you’ve been struggling to find the right option for your splashback. Instead of a colour, you essentially install a piece of glass with a picture printed onto it. You could have a photo of a forest, beach or even a pattern. 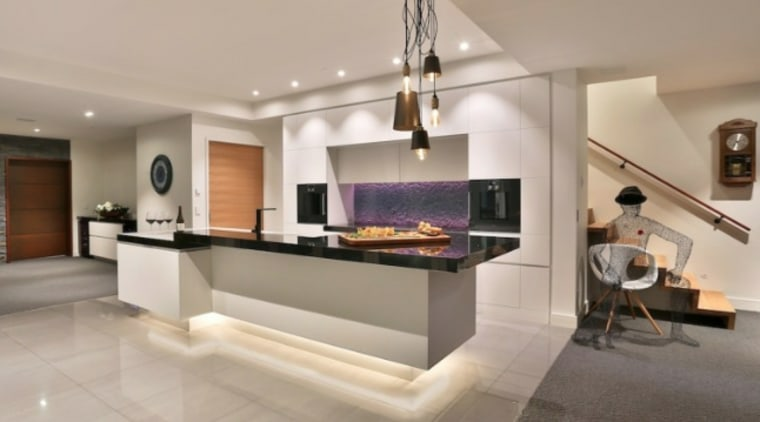 One of the most effective ways to make a splashback stand out is through the lighting. A recessed strip of LEDs running around the rim of the splashback or sitting up in the extractor fan can quickly draw the eye. New LED systems even have remote controls so you can change the colour depending on your mood. Try and think about how two options could work well together. 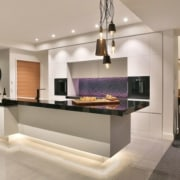 A splashback with an interesting texture and a lighting system could really lift your kitchen. 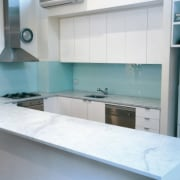 One of the best things about splashbacks is that they’re the cheapest part of a kitchen to change. If you find you don’t like the design you’ve chosen, it’s not going to be overly expensive to change. Kitchen projects can be stressful, so view some of our other articles if you’re still feeling a little lost. If you want to get started with a new kitchen, read the ‘Getting started’ guide.